In the past, Jerry served in senior executive positions managing behavioral health services in the public sector. But he acknowledges that he has been inspired by the ability of the nonprofit behavioral health field to develop a large range of programs that continue to evolve into new and better services for a diverse disadvantaged community. 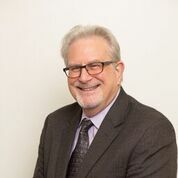 Before joining Horizon House, Jerry directed and developed clinical programs in hospitals, community mental health centers, and managed care organizations. Although his background is primarily in clinical services and administration, he also is an expert in program development, performance management and improvement, and innovative practices. In addition to his current work, Jerry holds a number of volunteer leadership positions. He is a member of the Board of Trustees for Norristown State Hospital, President of his local civic association, and honorary Board member of the Rehabilitation and Community Providers Association. He is also Past President of the Pennsylvania Community Providers Association and The Alliance of Community Service Providers. Jerry earned his B.A. in Clinical Psychology from the University of Michigan and received his Psy.D. from Yeshiva University.